When our children were younger, it always grieved my heart when they didn't get along. I didn't like having to be a referee at the dinner table or to break up arguments in the backyard. As a father, I wanted my children to love each other, to live in harmony, share nicely and be kind to one another. I really don't think our Heavenly Father is any different. 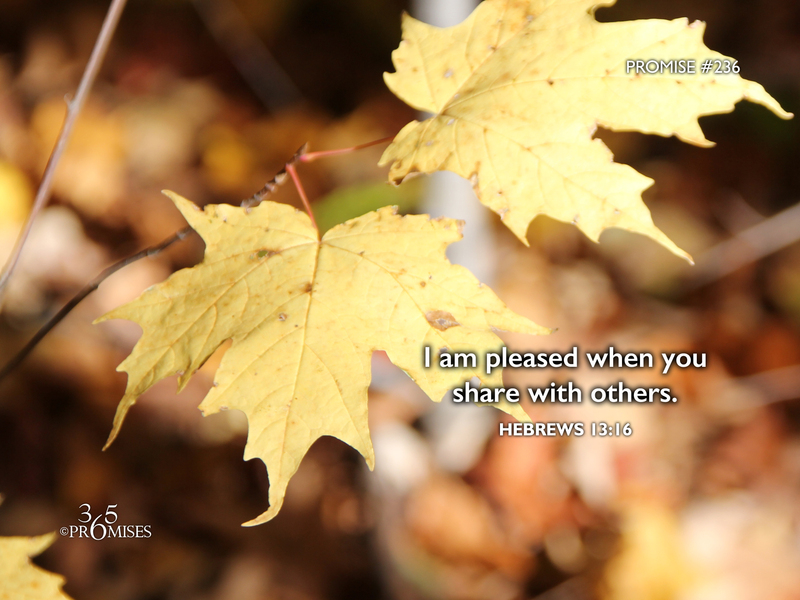 In this passage of Scripture, the writer of Hebrews reminds us not to forget to do good and share with others, because these are the things that make God happy. In a world with many Christian denominations, I think God's kids have a tendency to major on the minors in our Christian walk rather than focusing on the things that really touch His heart. The sacrifices in every day life that make Him smile are simply the good things we do for others. I want to keep this in mind today as I go about my daily routine, because I want to make my Dad smile. How about you?